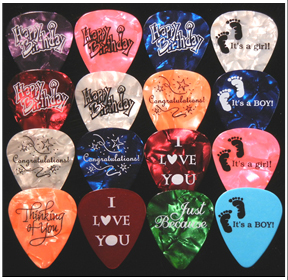 Pre-Printed guitar picks for that special Occasion. All picks are in Medium gauge. 12 identical picks per package.